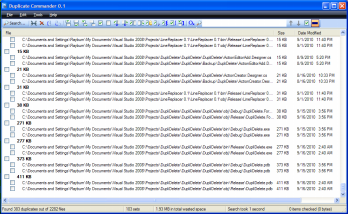 Duplicate Commander is a simple but powerful program that allows you to find and manage duplicate files on your computer. It's designed to be fast, stable, and easy to use. Features include fast search engine, lightweight, ability to exclude particular folders and filetypes, allows users to copy/move duplicates to a folder and able to find duplicates based on filename, filename and extension, filename and size, - filename and timestamp, or actual data.